The air is getting crisper and the days are getting shorter. Now is the time to take advantage of the spectacular autumn days ahead to enjoy the great outdoors. 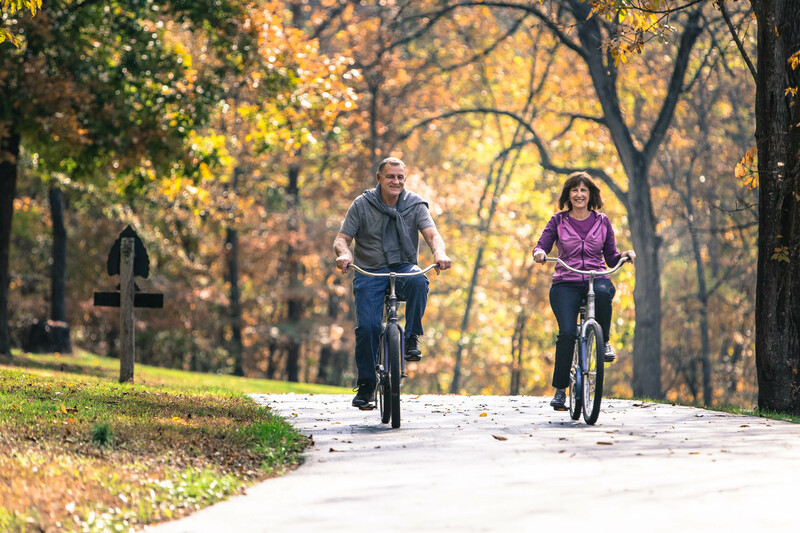 Here are some of the best outdoor activities that the area has to offer! Open to the public, Still Waters Resort on Indian Point hosts their first ever Harvest Festival, open to the public during the week. 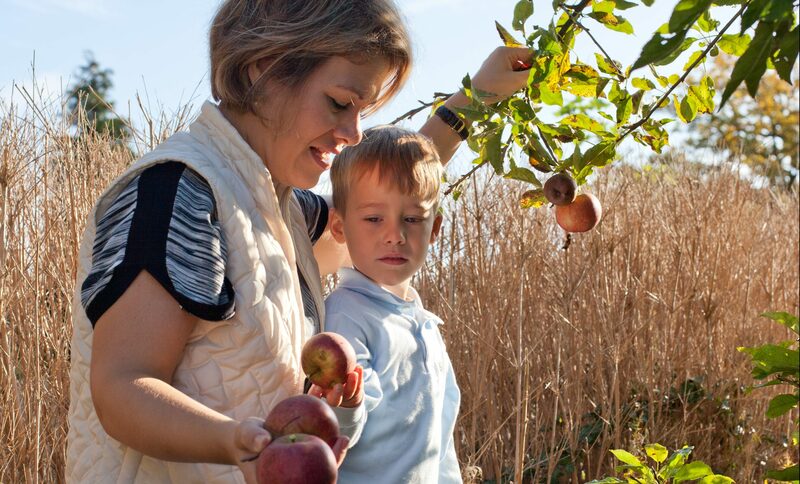 Admission gets you access to harvest eats and drinks, as well as inflatables, live music, hayrides, pumpkin chunkin’ and pumpkin bowling, and crafts for the kids to enjoy. 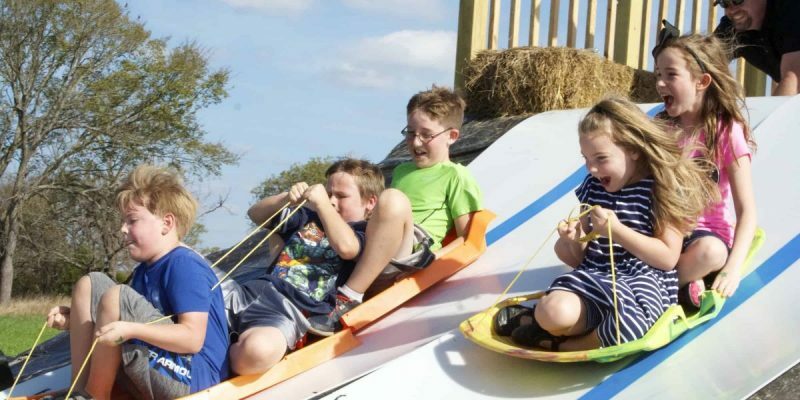 With a spook-tacular hay ride through the woods, a giant bounce pillow, a two-acre maze, gigantic gerbil wheels, hay bale maze and tire walls to climb on, the McKenna’s farm offers plenty of seasonal fun for the whole family. Lots of photo-ops abound with farm animals and a variety of unique pumpkins to pick from. 7 miles from Branson on F Highway, the Pumpkin Patch is open every day of the week except Monday. 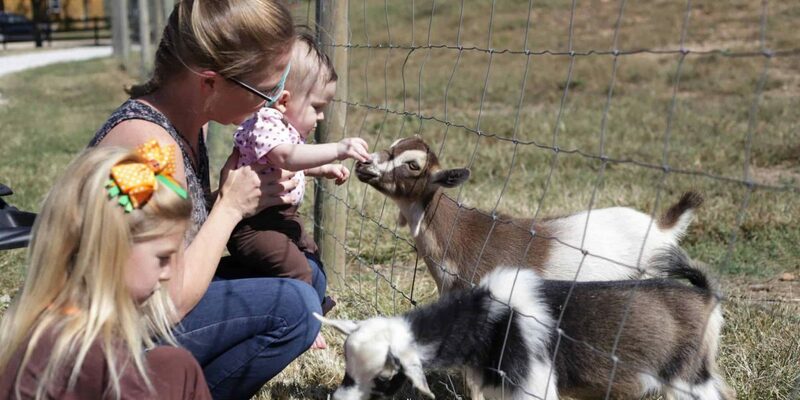 Head out to Sycamore Creek Family ranch for some good old-fashioned fun! Hayrides, a giant Branson-themed corn maze, farm-style Frisbee golf, a hay bale fort and more await. Roast s’mores at the bonfire pit and visit the farm animals. Sycamore Creek is located just 6 miles northeast of Branson, on Sunset Inn Drive off of T Highway. What better time to hike the great outdoors than when the autumn colors start changing? 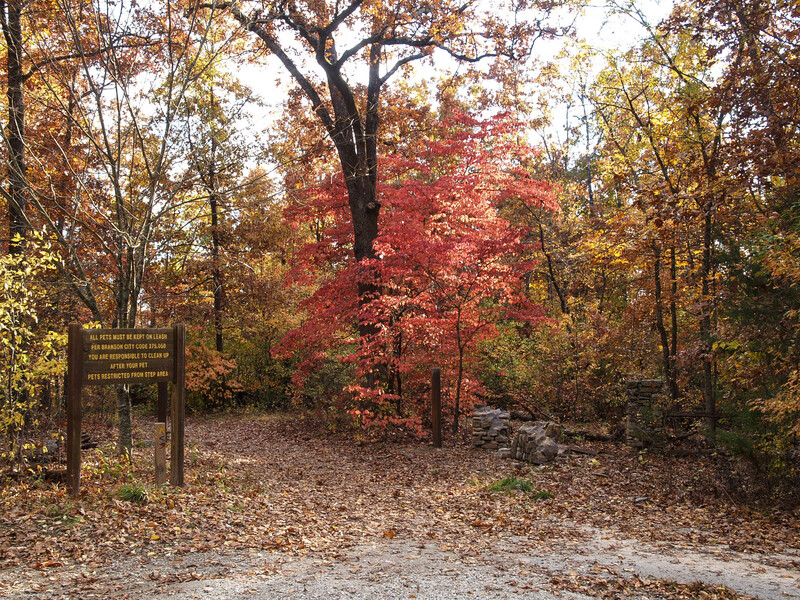 There are multiple trails in the area, offering a chance to enjoy the Ozarks’ splendid beauty. Tucked right in the heart of town off Fall Creek Road is the Lakeside Forest Wilderness Area. With 5.3 miles of trails to pick from, you can take short jaunt or hike the entire area. Walk down 315 hand-laid stone steps to reach the Grotto, a large rock cutout which forms a waterfall during rainy periods. At the end of your hike, stop at the old Owen Homestead and rest in the big porch swing that overlooking a spectacular view. Accessible from north Highway 248 off Sycamore Log Church Road, and also from Highway 76 just north of the 376 intersection, this area has three trails to choose. A .4 mile asphalt paved trail leads to the viewing tower that you can climb on Dewey Bald. The 3.4 mile Henning Homesteaders Trail leads past several homestead sites. If you’re just up for a short walk, the Waterfall Trail is a delightful 2/3 mile long trail running across a creek and ending at a miniature waterfall. The entrance is located at the intersection of Roark Valley Road and Shepherd of the Hills Expressway. 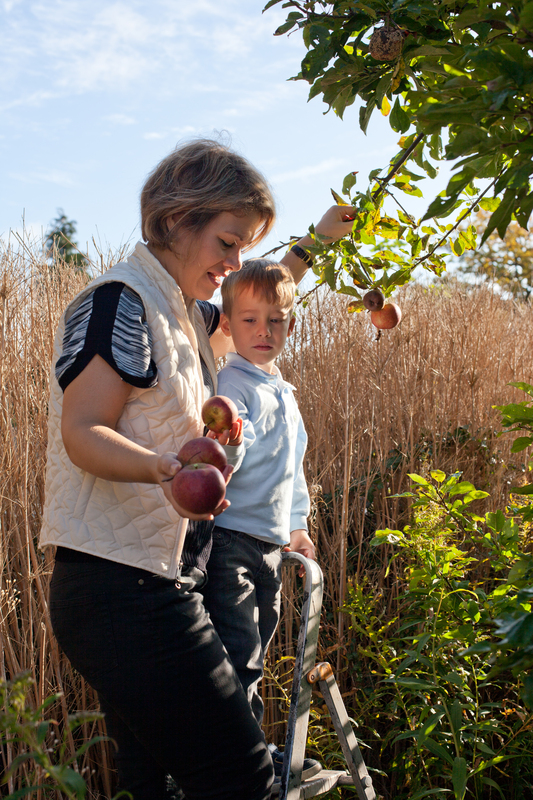 Nothing says “autumn” like picking your own apples! Bear Creek Farms is located 10 minutes north of Branson off Highway 65. With several varieties to choose from, pick a quarter peck, half peck, or whole peck. 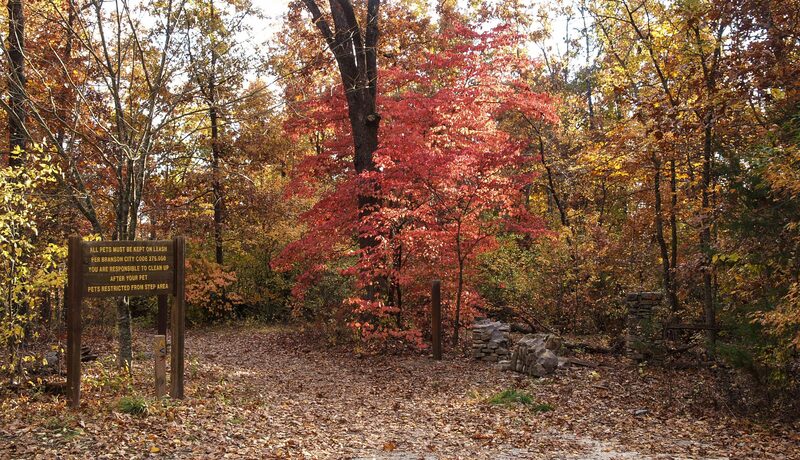 Dogwood Canyon, south of Branson on Highway 86, offers absolutely stunning views of nature whenever fall colors peak. 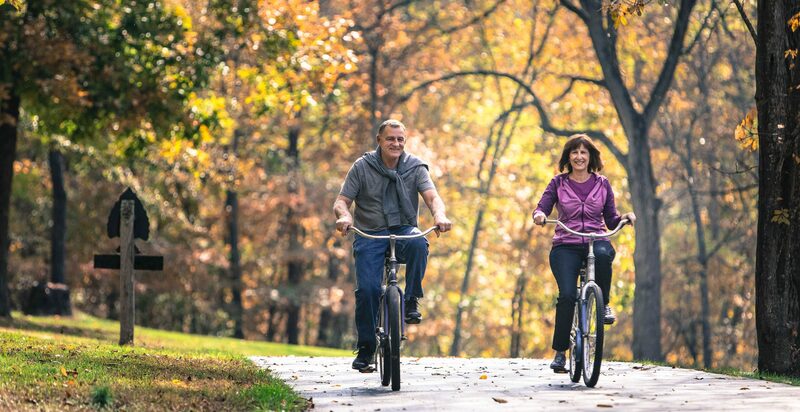 You can bring your own bikes or rent bikes, including kiddie carts, and enjoy the scenery along the 6.5 mile paved trail. The best spot for off-road mountain biking, the White River Valley Trail includes four loops with a total of 11.75 miles’ worth of trails. Small waterfalls, views of both Table Rock and Taneycomo lakes, and the remains of a farmstead are some of the scenic highlights along the trails, which are also great for hiking. The main trailhead opens on Highway 265, across from Table Rock State Park. If you don’t own a mountain bike, Downhill Bikes & Accessories just off Highway 248 offers bike rentals from Tuesday – Saturday. 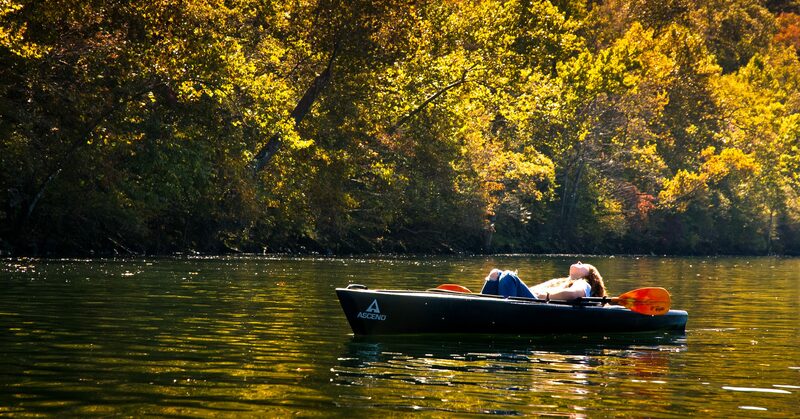 Why not enjoy fall’s splendor on a relaxing float trip along the lake? 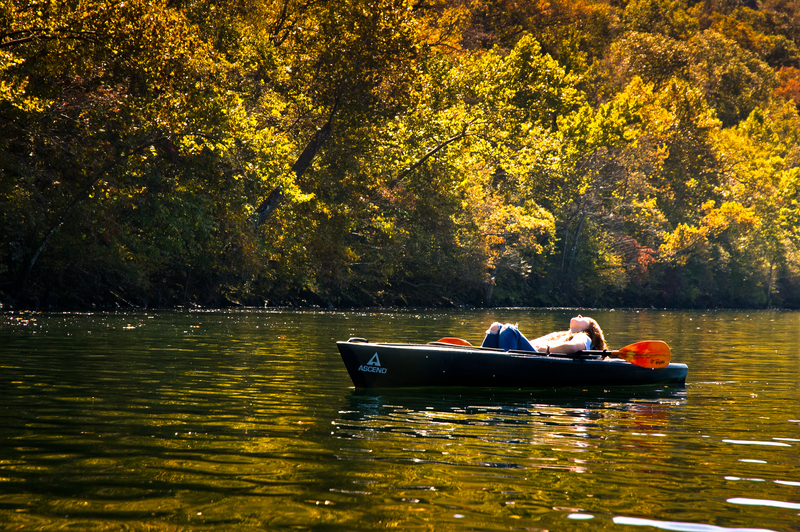 Kayak Branson is located on Highway 165 and provides kayak and canoe rentals. You pick the spot for your float trip – Taneycomo or Table Rock Lake.